Message from the CEO – Jarman International K.K. Thank you for taking the time to view our website. As we try to help Japan make a smooth transition into a more international age, we are also working to create a work environment characterized by diversity and flexibility. In the same way, our Core 50 team visits local areas to uncover the content “jewels” that will attract new visitors to that area, we believe there is great potential in the hidden personnel jewels that abound in this country. Both Japanese and International, we have put together an eclectic team of individuals with a variety of talent and expertise. We hope that our unique perspective, flexibility, and focus on innovation will provide encouragement to all of our clients and those across Japan who are moving into the new era. I would like to thank our clients, partners and Core 50 members for helping Jarman International become an effective company with a one of a kind service. After running a small translation/interpreting operation via which she interpreted for the Reverend Jesse Jackson, Joe Montana, Serena Williams, Monica Seles, etc., Ruth was invited by her mentor Hiromasa Ezoe to help build a new venture started by Space Design Inc. in 2000. 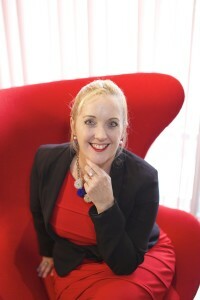 Between 2000 and 2012 Ruth oversaw the sales and marketing division and was promoted to a member of the board in 2010. By 2012, Ruth had worked to keep high occupancy in 18 buildings in Tokyo and Yokohama totaling some 1200 serviced apartments. Over her career at Space Design, Ruth came in contact with over 40,000 executives in various industries who stayed at the apartments. This is where she learned first hand about the various challenges faced by professionals on business trips to Japan. Ruth started Jarman International KK in 2012 as a resource for Japanese companies, local communities, etc., to better connect with and welcome internationals. Ruth currently serves as Director for the HRM Association, Councilor for the Japan Women’s Education Association, Expert for the Ministry of Reconstruction, Member of the Kanagawa Prefecture Revitalization Advisory Board and is an active member of the ACCJ (American Chamber of Commerce in Japan), FEW and Leadership 111. She was selected as ACCJ Tokyo (Female) Leader of the Year and appeared on the entire 5-year-run of the national network’s NHK’s Basic Business English Series しごとの基礎英語. The first two books were written for a general audience and the focus of the third was to encourage Japanese women. 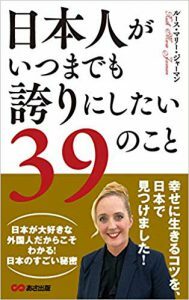 Ruth is a popular presenter across Japan on the speaking circuit for Kyodo and Jiji Press. Ruth’s goal is to support Japan’s smooth transition into a new, and much more international era.